Wendy is a character and the primary antagonist of the 2006 survival horror game, Rule of Rose. 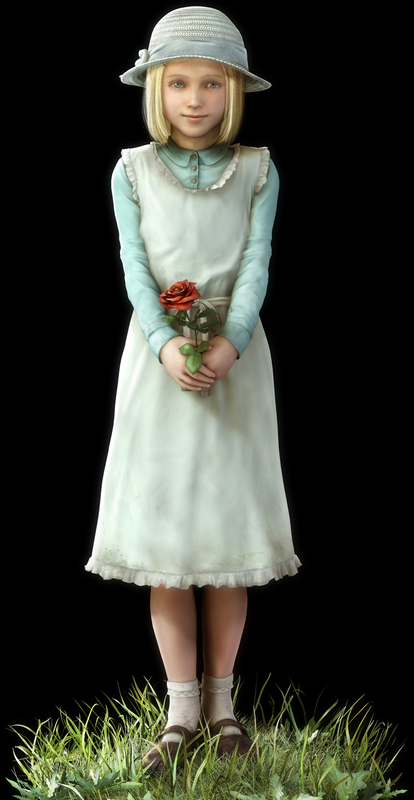 It is revealed through a series of cutscenes that the game’s events are born from the fractured childhood recollections of Jennifer, the game’s protagonist and a previous resident of the orphanage. Wendy was another resident of the orphanage, and formed a friendship with Jennifer soon after she moved in. The two gave each other the nicknames “prince” and “princess”, playing on the fact that Wendy’s first glimpse of Jennifer came when she was dressed in boy’s clothing. Later on, the two swear an oath of “everlasting love” to one another. This entry was posted in 2000s, Characters, Games by Decade, Lesbian, Lesbian (implicit), Queer women on January 12, 2018 by Adrienne Shaw.